The Gateways for Growth Challenge Grant application (attachment C) provided an opportunity for OneMacomb to garner resources, to gather targeted data and gather public opinion.  Once OneMacomb was granted the award information was used to guide members of a steering committee as they developed a strategic plan for making Macomb County more inclusive. As a result of this process, Macomb A.C.T. (Active Cultural Togetherness) – complete with a nine-page operating agreement (attachment D) – was formed. "New Americans in Macomb County"
"Macomb County Diversity and Inclusion Collaborative"
95% wanted to organize to work cooperatively together to advance common interests. 92% wanted a written understanding so Community Partners knew what they were agreeing to. 87% wanted a "Steering Committee" to approve and coordinate efforts among Working Groups. Macomb County’s desire to encourage Community groups to work on common interests. Assumption: Community groups can have more impact making Macomb more inclusive if they organize and coordinate work on key strategic issues. Remember the assumption of OneMacomb that started this process? Community groups can have more impact making Macomb more inclusive if they organize and coordinate work on key strategic issues. Planning strategically on priority subjects. Need both tracks done before you can start! Survey Macomb districts about their hiring process - are they getting diverse applicants? What has prevented them from hiring a more diverse staff?